The Exponential Group was founded in 2008 and is an international agency for Project & Construction Management, Design, Content Development, Interior Decoration, Multimedia Production and Road Shows. Our services are focused on turnkey marketing strategies for countries and prime brands. We work internationally with leading companies like Mediapro Barcelona and Luxoom Berlin. Our winning projects are mainly emotion factories which are based on experiences where the visitor is an active element. The group´s staff works 24/7, speaks the local languages, knows the specific regulations and is always available with a problem solving attitude. We have partner and own offices worldwide (Germany, Spain, U.K., U.A.E., Saudi Arabia, China, South Korea and Kazakhstan) and are headquartered in Berlin, Germany. 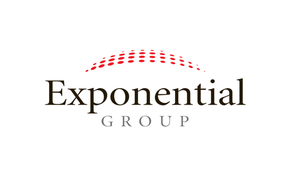 EXPONENTIAL GROUP - WE MULTIPLY VALUES.